Jump, dance, sprint and toss the caber -- and learn fun Scottish words along the way! 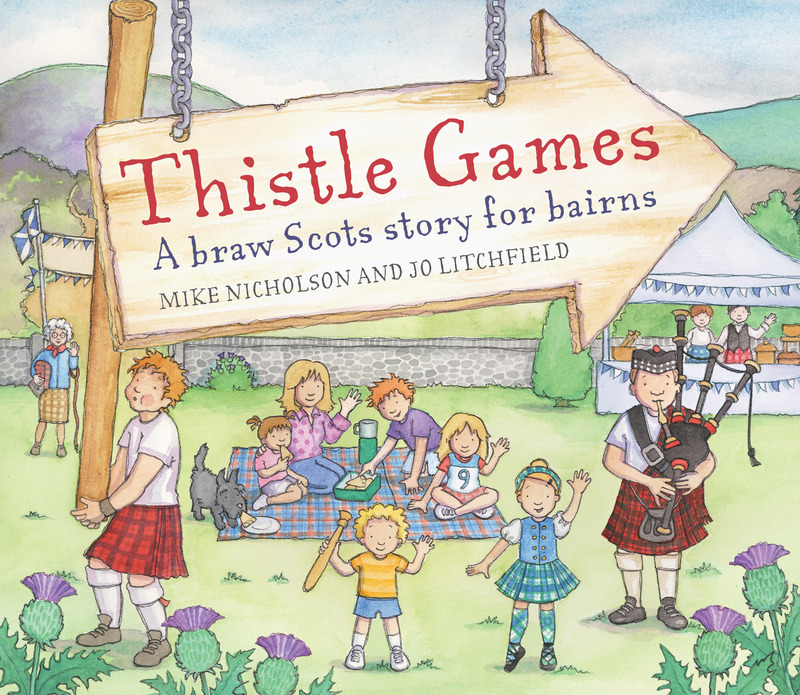 A braw Scots story for bairns! Welcome to the Thistle Games, Scotland's best highland games, where you'll meet lots of friendly folk and learn some fun Scots words. Welcome to the Thistle Games, Scotland's best Highland games, where you'll meet lots of friendly folk and learn some fun Scots words. Everyone joins in to dance, jump, sprint or even HIRPLE over the line. But watch out you don't get MINGIN and look like a NUMPTY. And cover your LUGS if the pipe band is gie-in it LALDY! This funny story, told in bright rhyming verse, is full of the lively Scottish characters you've met in Thistle Street and Thistle Sands, plus a whole host more. Packed with detail to spot on each page, the warm illustrations will make children want to high jump, Highland dance and toss the caber! Mike Nicholson won the Kelpies Prize for new Scottish children's fiction in 2005. He is the author of two other Picture Kelpies, Thistle Street and Thistle Sands, and two stories for children aged 7 and up, Catscape and Grimm. Mike lives in Edinburgh, Scotland. Jo Litchfield is a professional illustrator and designer who works from her studio in Derbyshire, England. She studied Graphic Design at Derby University before working as a designer and illustrator for Usborne Publishing. She uses model-making, digital techniques and photography in her work, and has illustrated many children's books. 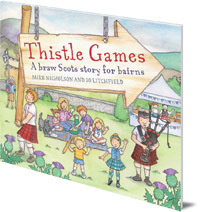 Thistle Games is in Floris Books' range of Picture Kelpie Scottish children's picture books. Parents of young children might also enjoy the dedicated Picture Kelpies website. Download and print out games, colouring and jokes for your children based on Picture Kelpie favourites, and find out more about these quality Scottish picture books to enjoy together.